I cannot remember the last time we have had such a mild winter. The little snow that we had is almost all gone! Every year it feels like we only get a few weeks of Spring and then go straight into summer because of our extremely long winters! This year I think we will see it fairly soon (fingers crossed). I cannot wait for Spring to arrive! 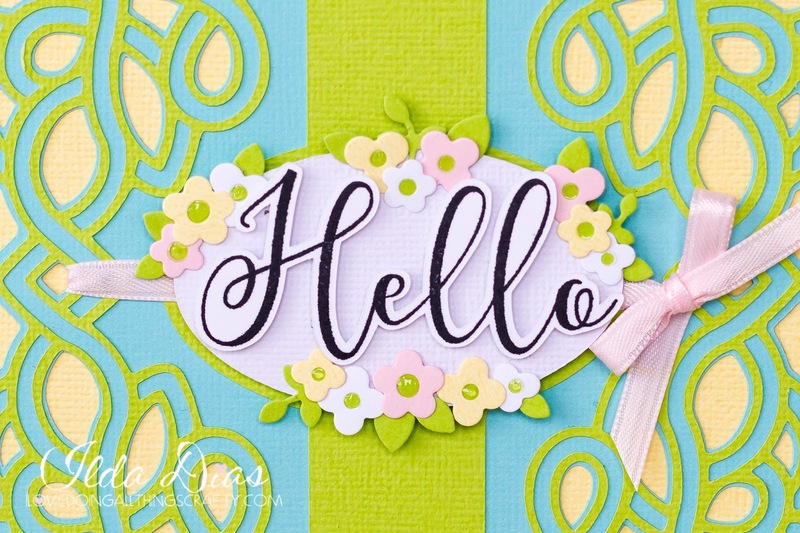 When I first say the latest FREE Celtic Card file from SVG Cuts, I immediately was inspired to create a Spring/Easter card. Look just how beautiful it turned out! Here is a close up of these dainty little flowers and the stamped sentiment. and a peek at the inside! The Hello stamp was stamped then cut using the Silhouette PixScan mat using a scanner. Click HERE for a previous tutorial on the pixscan/scanner method. 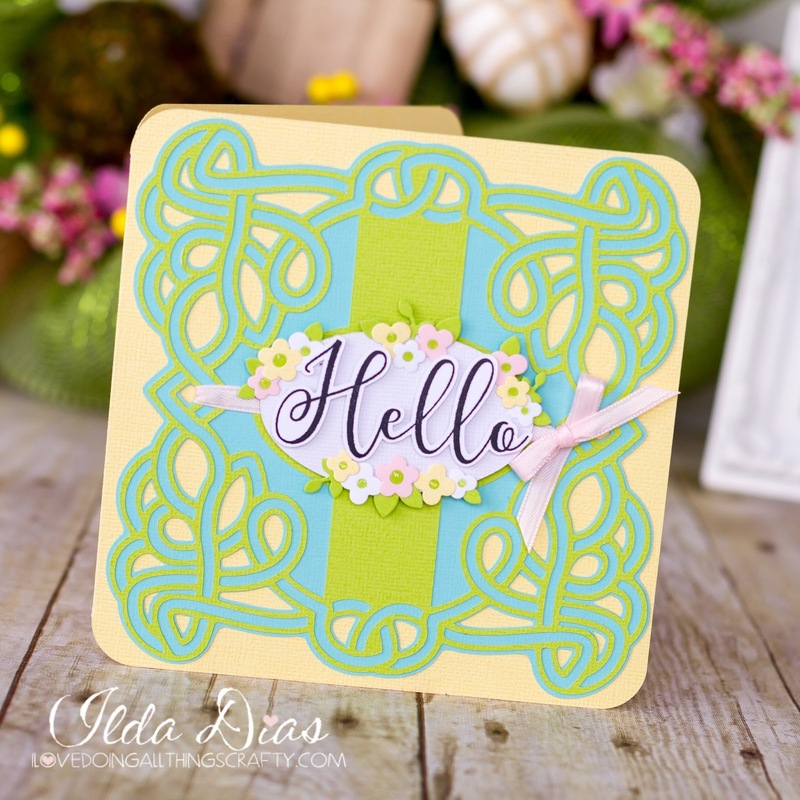 Hope my Hello Spring Celtic Card has inspired you to create something beautiful today! I think this card can be made to suit whatever theme you want. It's a great card base to have in your collection! Don't forget to download it for FREE and check out all of the other FREE files in the FREE Design Section!